Directors: Rel Schulman, Henry Joost. 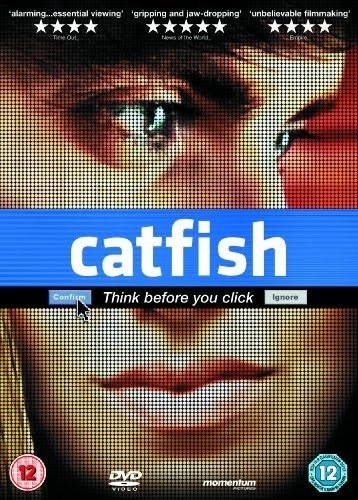 Featuring: Nev Schulman, Angela Wesselman, Melody C. Roscher, Rel Schulman. The social networking zeitgeist is certainly upon us. It has shaped a generation in their reliance on smartphones and the internet and contributed to a new global means of communication. It has brought us closer but sometimes a bit too close. It has opened up new dangers and has shaped us into voyeurs. This documentary is proof enough in showing this. It also shows how easily people can be manipulated. After a slow beginning, we are soon informed of where this documented drama is heading and the path it takes becomes dark and intriguing. 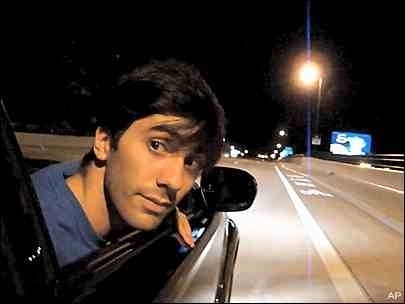 Prime candidate for mockery, Nev Schulman, is a good sport. He very rarely shy’s away from what is ultimately a major piss take of his trust in people. But what it also does, is remind ourselves (or those who use social networking sites) that everything is not as it seems when interacting with faceless names. For those who haven’t seen it, I won’t give too much away, but it shows the frailties in Internet use, as well as, the frailties in ourselves. The revelation of the strange events is quite awakening but is everything we told even true in itself? Some people took this documentary quite literally. I, however, had to wonder whether it was a double cross. I believed it to a point but there were so many chance happenings that were caught conveniently on camera that it couldn’t all have been purely documented. Questions remain as too how authentic the film actually is but as a social commentary it’s message still stands. Despite some inconstancies it remains cleverly constructed. This entry was posted on April 17, 2012 at 10:14 am and is filed under Documentary with tags 2007. You can follow any responses to this entry through the RSS 2.0 feed. You can leave a response, or trackback from your own site. This made my top 10 list for 2010. Loved the mystery of it all. Highly original film. I missed the boat on this one when it first came out and there was a hullabaloo but your review makes me want to watch it. I really enjoyed this first time around and considered rating it higher. However, on another viewing I wasn’t entirely convinced by what we were being told from both sides. Still, it’s a great little film. I seen this last year and i thought it was excellent. very disturbing and i thought it was going to go in a real sinister direction but it brought out more pity for the faceless artist than anything. the whole thing was a falsity but it told a very likely, all too true story. nice review. I agree man. The direction it took wasn’t what the one it seemed to start out on. I felt sorry for the woman also. A very sad and lonely individual. It all seemed too easy a destination for it. If it were darker I don’t suppose they would have got as close to the person. Thats why I think it may have been manipulated slightly.